Without a doubt, Salesforce.com is among the top influential tech enterprises in the world today. Founded by Marc Benioff in 1999, this company is highly popular for its impressive CRM (Customer Relationship Management) software. In 2013, Salesforce.com posted more than $4 billion in revenue. The company has a market cap of approximately $34.6 billion. With more than ten thousand employees, this company stands out as the largest technology employer in the entire San Francisco region. For four consecutive years, Forbes has named this company number one in the “Most Innovative Companies” list. Okta is a mobile or cloud identity management software company. The brain behind this company is a saleforce.com ex-employee by name, Todd McKinnon. An engineer, Tom managed to grow his team from fifteen to two hundred and fifty engineers. According to this impressive engineer, he passionately loved his former job. However, he saw a huge opportunity in the cloud password management field that he could not pass up. Salesforce.com Founder, Benioff, was not too happy. In fact, he turned down an offer to make early investment in Okta. TienTzou is the founder of this company. Founded roughly about eight years ago, Zuora conducts cloud billing as well as invoicing for recurring revenue businesses. 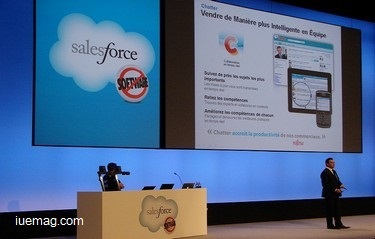 So, what was his role at saleforce.com? Tzoue was the eleventh highly ranked employee at his former employee’s perking order. Actually, he was the company’s maiden Chief Marketing Officer. Unlike Okta, Beinoff invested in Zuora when Tien left in 2008. This company was founded by Nancy Connery approximately seven years ago. Connery Consulting provides HR advisory services that are more focused on financial and tech markets. Nancy was one of the top ten employees at her former job. Being the founder of the human resources department at the company, she oversaw the recruitment of more than six hundred and fifty employees. Based on her experience as a human resource manager, she founded her current company together with Thanh Nguyen, another Salesforce.com alumnus. The above four are just some of the top enterprises founded by former Salesforce.com employees. You can use Salesforce ant migration tool to effectively handle metadata transfers in your company. The benefits are surely worthwhile. Sujain Thomas is a contributing writer at Inspiration Unlimited eMagazine.